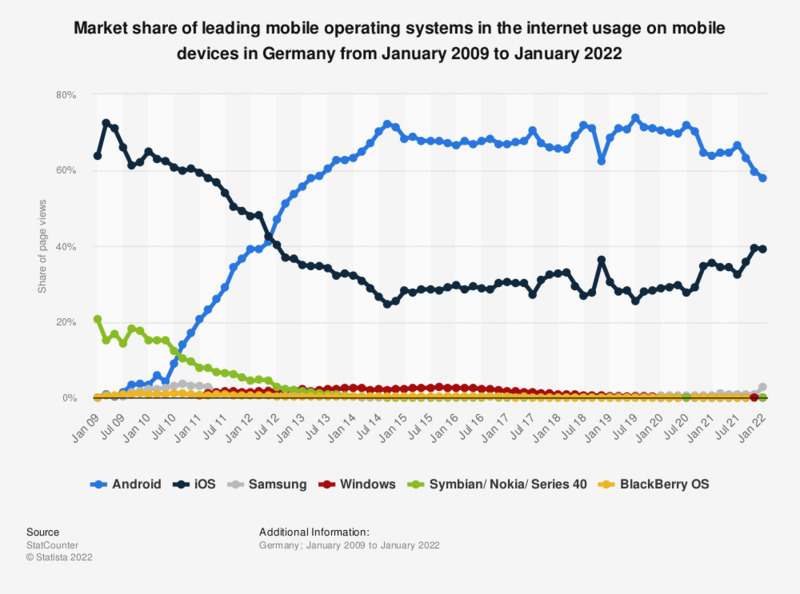 This statistic shows the market share of the most common mobile operating systems in the internet usage on mobile devices Germany from January 2009 to November 2017. According to the source, the figures were based on "pocket sized" devices only. In November 2017, iOS had a mobile internet usage market share of roughly 32.38 percent. Android had the highest share with nearly 66 percent. StatCounter data is based on over 73.9 million page views per month (as of September 2015). According to the source, only operating systems of "pocket size" devices were considered. Therefore, tablets are not included in the data.